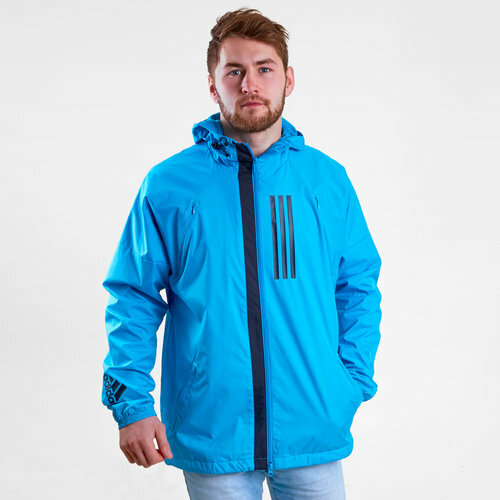 Stay warm and dry when you're in training or out and about with this adidas Mens Training Wind Jacket in a Shock Cyan colourway. This fleece-lined jacket from adidas is the perfect protection against the wind and rain. This jacket is a comfortable layer to pull on before, during or after a session. It has zip vents at the shoulders for when you've cranked it up a level in training too still providing you with the rain protection but allowing you to cool down. The lightweight ripstop shell is lined with soft fleece, making this to warmer than your average windbreaker.